Sacred Pleasure Path Program ~ Launching (online) soon! My Beta program is almost complete! 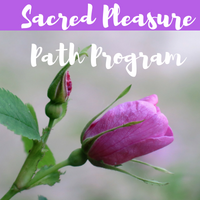 Stay tuned for upcoming public launch of my Sacred Pleasure Path Program as well as some special offers! Stay connected by filling in your contact information below. Also I have a few spots left if you are interested in booking your Private Getaway here at Amisk Lake paradise this summer or autumn!